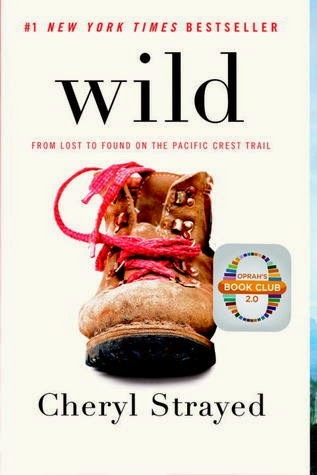 Confession: Ever since Oprah named "Wild" to her book club, I avoided the book like the plague. A book about a women finding herself while escaping her problems by hiking through California? Didn't sound like my cup of tea. I tend to prefer my heart-wrenching reads to be fictional. I was so. completely. wrong. Luckily, an NYC book cub member & dear friend picked it for our end-of-the-year read. I will read whatever my book clubs pick, regardless of personal interest, so I checked out the audiobook from NYPL and was eventually blown away. The book started out rough. As Strayed laid the groundwork for how she ended up hiking the Pacific Crest Trail (at a particularly low point in her life, she found a guidebook and decided to give it a go) and set out on her trek, there were plenty of opportunities for eyerolls. And I hit all of them. She never packed all her equipment and tried to lift her fully-packed backpack before she left? Eyeroll. She didn't know how to work many pieces of her equipment? Eyeroll. She didn't even know why she brought certain pieces of equipment? Eyeroll. She never serioisly considered there might be ice in the mountains she intended to hike? Eyeroll. I thought that at best, her lack of preparation was foolish and short-sighted. At worst, she is endangering others who might be inspired by writing an entire book about how she went in unprepared and turned out just fine. Yet as I continued to listen-read, Strayed took more ownership of her mistakes. She never claims that what she did was a good idea, and clearly points out where she went wrong and what she should have done instead. While everything works out just fine in the beginning of her hike, she frankly writes of her dangerous encounters with wild animals, losing the trail, and encountering potentially-predatory men as a woman hiking entirely alone. She does not sugarcoat her experience, and her recounting is all the stronger for it. Strayed had a rough upbringing, her mother passed away, and her marriage fell apart. She takes responsibility for the problems that were of her own making, while embracing those that weren't as part of what shaped her nonetheless. She intersperses these stories of her pre-trail life with her experience hiking the trail. What emerges is an honest discussion of one woman's experience. She isn't looking for sympathy, but empathy. She is willing to share her story in case it may help others who feel similarly set adrift amid their own personal struggles - and maybe they won't have to lose toenails hiking the PCT in the process. Verdict: Affirmed. This book is so much better than I gave it credit for. I should've known better than to doubt Oprah - she hasn't led me wrong on a book pick yet.